The ability to make burritos may sound easy, but when the tickets start flying out of the printer and they all read BURRITO it can become overwhelming for the line cook handling burritos. This month’s team member spotlight is on a guy who retains legendary focus, even under intense pressure. Samuel Tunches Perez, or Sam, is not easily shaken. Sam is a skilled line cook who has mastered all of the stations that plate your food, even though he has only been with us for one year. This is an unusual talent as most line cooks settle into and master one location, not moving from station to station. Whether sautéeing fish or grilling steak, Sam gives his coworkers the fillings they request to complete their order quickly, always looking relaxed and having fun. Sam’s execution of assembling a plate or bowl of food is meticulous. Defined by the way he presents the salads in an artistic and appetizing way, Sam’s plating of dishes always has correct and consistent portions. He has an amazing ability to be as present with the food as he is with his co-workers, with an uncanny flair for clear communication under fire. Paired with a commitment to making sure you get your order in a timely and correct fashion has elevated him to the the trusted expo position where he accurately matches order tickets to the plated food so you receive exactly what you are expecting. We appreciate the role Sam plays in helping us make sure every guest leaves happy. One has to do more than just serve memorable food to bring guests back. This month’s spotlight shines brightly on one cashier who can make you feel as if this is your home away from home. 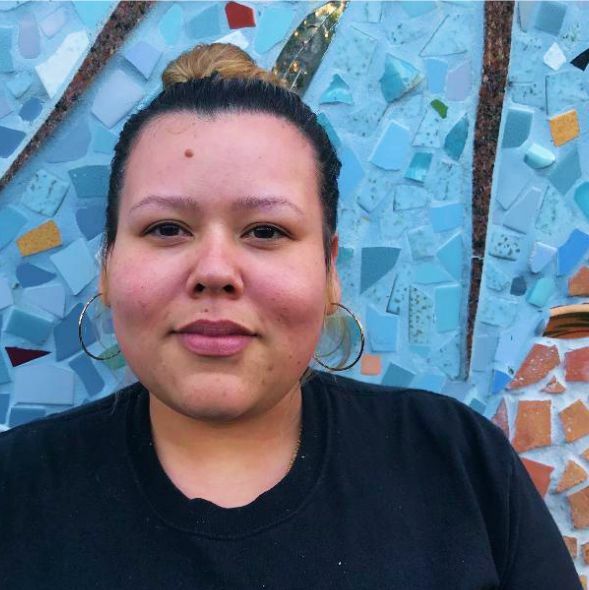 Rubi Alvarado has been with Picante just 2 years but this is her second time in the spotlight. Making eye contact with each and every member of a large group or family, Rubi puts the guest at ease, always taking time to retrieve samples, discuss menu items and ask probing questions to insure she gets the order and the quantity right for the guest. It’s not uncommon, when the order is complete, that she has locked the guest’s name into memory for their next visit. Even during a lull, Rubi is always busy preparing for the next crush of guests so she can keep the line moving. But when it’s your turn, she’ll make you feel as if you are the only guest in the restaurant. Rubi had a wonderful teacher in her entrepreneurial mother, who has owned a beauty salon for 20 years—called Rubi’s—so she knows what it takes to make sure customers always leave happy. If you spot Rubi during her regular evening shift, or on Sunday morning for brunch, introduce yourself and say congratulations! In the early morning hours, the restaurant sounds like a television show: Picante’s Got Talent. With perfect pitch, our team member in the spotlight, Sabrina Gomez, serenades your food while the rest of the staff turns off the usual boom boxes, to listen. Though Sabrina has only worked at Picante for 1-1/2 years, she is already in charge of opening the entire hot-line in the morning which is a complicated, 4-hour task. As a line cook, she is a master of the salad station, expertly rolls burritos and artfully and accurately plates every item that is on our menu—over 100! Being evenly skilled on the cook line makes her the perfect master trainer— responsible for new team members learning excellent technique at the salad, grill, burrito and sauté areas. Another invaluable skill Sabrina shares is an awareness of condiment levels. A perfectly timed trip to the walk-in refrigerator for more guacamole keeps the line moving while communicating a pending shortage of salsa to the kitchen manager prevents a catastrophe. We appreciate all she brings to the table and to the guests. The position of expediter or “expo” at Picante is at the center of all the food served to our guests. The job is pivotal in that the plates of food from the kitchen must be accurately matched with the guest’s order check with all dishes on the ticket consolidated before being brought to the guest’s table. The expo insures that guests get what they ordered and everyone at your table has their food at the same time. During her short time as a busser/runner, Erika Calderon trained herself in recognizing what every plate was supposed to look like, learning the 100+ items on our menu. She was quickly promoted to the expo position because of her exhaustive menu knowledge, but her cheerful attitude and remarkable memory of guests names has her in training to become a cashier. Whether she is interfacing between the kitchen and the guest as an expo, or the guest and the kitchen as a cashier, her communication is always clear and concise, preventing or solving problems as necessary. Erika’s professionalism extends to her co-workers, always listening, encouraging and congratulating them. Managers can count on her to speak up on behalf of guests or colleagues to keep Picante running smoothly. You’ll see her soon in her new role as cashier, if not on her break eating pozole. Either way, raise a glass to this month’s team member in the spotlight. Anyone who dines at the bar knows our team member spotlight should shine brightly this month on Nick Romero. Nick shakes up the best margaritas in Berkeley. Always organized with how he sets up his station, he keeps it in perfect order to hand off to any team member taking over the bar. His position, close to the door, offers him the opportunity to dazzle with his superpower: recognizing guests who have never been to Picante. Recently Nick impressed a new guest with his patience and perseverance. The guest asked for a recommendation. Nick made one and retrieved the guest a sample. The guest did not like what he tasted so Nick continued to suggest and sample until the guest was absolutely delighted. His customer service as a cashier is also exemplary. A guest arrived whose take-out food was not yet packaged. Nick kept the guest company until the order was in their hands. The guest told the manager on duty how impressed they were with the amazing service experience Nick provided. Nick is accurate and through in his cash handling skills, always finishing his shift with the correct paper work and cash in his drawer. Along with everything else about his performance his time management, punctuality, and perfect attendance makes him an obvious choice for this month’s team member spotlight. Tell him congratulations if you catch him on break with his favorite dish: chile relleno. Because women tend to possess the food knowledge of their homeland, our prep kitchen is entirely female. A prep cook at Picante requires multiple skills—the most important of which is her ability to make our signature handmade tortillas. The spotlight for October is on Deyanira Campos. Her undistracted zen-like peace of mind when laying a floppy disc of masa on the very hot sheet of steel is amazing to watch. Deyanira’s tortillas are perfectly round with a speckle of brownness. Dicing, cutting and chopping all that is needed for each of our 100+ recipes is a never ending task in our kitchen. Her knife skills are extraordinarily fast and uniform. If we had a speedometer to measure her, she may be the fastest with a knife, but as we emphasize safety over speed, there is no way to tell. Deyanira is responsible for teaching new staff. Her approach is clear and direct instruction delivered with friendliness and warmth, making new team members feel welcome and confident. Along with everything else about her performance this past year, her punctual and perfect attendance makes her an obvious choice for this month’s team member spotlight. If you see her eating her favorite dish, enchiladas verdes, say felicidades! Relatively new to the Picante team, Mario Lopez’s initiative has driven him to master four distinctive job positions in just two years. As a busser/runner he delivers food and clears tables; as an expo he culls all the dishes of an order together and makes sure they are correctly made; as a stocker he stores the vast amount of ingredients and supplies we receive daily; and as a floor conductor he calls out what the needs are in the dining room, at any given time, to his team via radio headsets. This cross-training gives him the ability to cover for co-workers who are unable to make their shift while helping him understand how all the roles work together to create a positive guest experience. Guests appreciate how polite and knowledgeable Mario is, and staff members rely on his rapid response to their calls for assistance on the radio headsets. Loved at Picante, as well as in his community, Mario’s connections have resulted in the recruitment of several qualified candidates to join the Picante team. And because he eats his way around the entire menu he is the perfect person to tell you about any dish you haven’t tried. Thanks, Mario, for keeping things running smoothly! Good buildings have strong foundations, and good restaurants have a solid back of the house. If it weren't for the reliability of our dishwasher and emergency handyman, Patricio De La Torre, our prep cooks couldn't even get started. Aside from the dishes, silverware and glasses made sparkling for the guest, our prep team relies on Patricio to have all the tools they need, sterilized and ready at the crack of dawn. He keeps the back of the house impeccably organized so time is never wasted looking for the right instrument for the job. The dishwasher position is one made for an athlete, especially on a busy night. One glance at Patricio in action would explain why you might catch him devouring 4 empanadas on break—his job is relentless and fast-paced. Serious and energetic, Patricio loves sharing his abuelita's special lemonade recipe with the staff. Service would come to a screeching halt without someone like Patricio keeping our back of the house running smoothly. We are grateful he is part of the Picante family! If anyone at Picante knows what your usual order is, it is Karina Garcia. It's not the first time we've put the team member spotlight on Karina over the 10 years she has been with us, because she is exceptionally good at making sure you have a great experience. For instance, if you are curious about a menu item, Karina never hesitates to march over to the kitchen and get a sample. She is also cautious in getting every order right, repeating the order back to you for clarity. She shows the same attention to detail when working behind the bar—making drinks with confidence and flair. Serving the guest is only half of what makes Karina stand out. At the start of her shift she is very diligent about getting her team on the same page and being certain they have everything they need to serve their guests during their shift. When there is a lull in the line, she always jumps right onto any side work to be ready for the next wave of guests. And should a fellow employee call be unable to make their shift, Karina is quick to cover for them. We've had 10 wonderful years of working with Karina, so if you see her on break enjoying her favorite—enchiladas verdes —please tell her congratulations! At the crack of dawn every day, trucks begin arriving at Picante to deliver hundreds of ingredients to make our food and drinks. 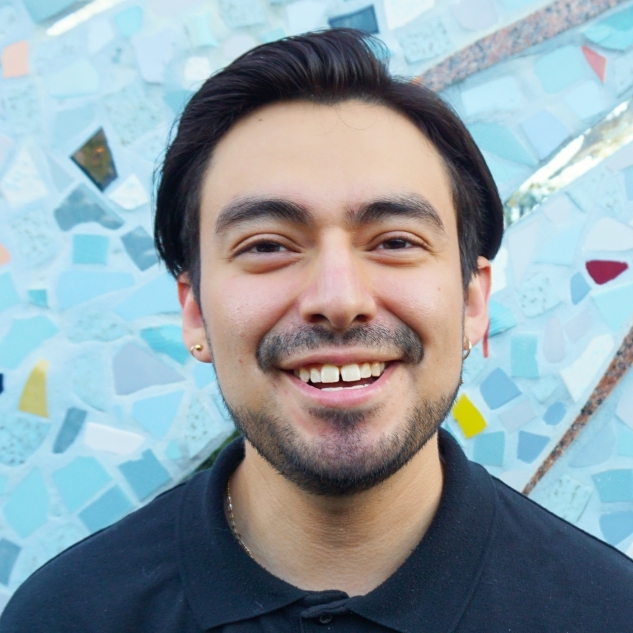 And as sure as the sun rises each day you will find our June spotlight team member, Huriel Posadas, who manages everything that arrives at Picante. He performs his job with a wonderful mix of cheerfulness and urgency that is contagious. Huriel maintains the largest area of Picante: the alley where the goods arrive as well as the rooms and refrigerators in which they are stored. Everything has its place and he keeps it impeccably organized so time is never wasted looking for an ingredient for the kitchen. The cleaning of those areas is so complicated that a map was created to track the frequency needed for each task, making even the least-seen area of Picante as clean as the front of the house. All of our managers are trained in every aspect of the restaurant—an education which lasts two months—before they assume their managerial role. Huriel is the first stop on this training and his instruction is thorough and clear. He’s a great leader in this way. We asked Huriel to name his favorite dish at Picante, and it was the only challenge he couldn’t meet. Frankly, we are perfectly happy watching him eat his way around the menu over and over again! Like a well-played game of telephone, each order goes through many ears before the food is delivered to the table. Our cashiers parrot back each order, assuring that they heard what the guest wants. Next the order is sent to the kitchen where it is prepared and plated. Finally, our expeditor—or, as we call them, "expo"—culls the order and makes sure it's correct before runners bring it to the table. May's spotlight is on Claudia Rodriguez who has the superpower of interpreting each order and insuring what the guest is expecting is what they receive—sometimes sending plates back to the kitchen for adjustments. Insisting on the correct presentation of each and every plate that she handles is how she has set the bar high for her entire team of expos. Always following procedure, Claudia demonstrates her understanding that any mistake on her part would slow down the restaurant's promise to serve food quickly. Her calm presence in the heat of a rush of customers is appreciated and adopted by her team. We love working with Claudia because of her direct style of communication, firm manner, and high standards with which she trains our other expos. Our April Spotlight is on team member Francisco Barragan. He may not be a face you see at your table or at the cash register, but he is surely a part of nearly every meal you have at Picante. One of our most versatile line cooks, he has a particular passion for the customer experience. Despite his position in the "back of the house" he is acutely aware that his performance behind the scenes makes or breaks each guest's visit. As a cook, Francisco has mastered every station "on the line" and is continually perfecting his culinary techniques and insights. Francisco's care for the food and guests is thorough: the details he brings to his plating; his support of servers in assuring order accuracy; following special instructions; his cool demeanor as rush-hour ramps up, and his focus on delivering excellent quality to every guest. My journeys south of the border began four decades ago. Everything about Mexico captivated me—the art, the history, and especially the food. But when I returned back home to my native Berkeley I couldn’t find the flavors I’d savored while traveling and studying the cuisine from one region of Mexico to the next. So after years of cooking for friends and family, with ingredients I stashed in my suitcase from my many trips south, Picante was born. Picante is an expression of my love for Mexico. Love is why I grind corn daily for our tortillas, import Mexican herbs, spices & chiles , and why I have local artisans craft cheese capturing the same nuances as fresh Mexican queso. Love explains why I grill only never-ever meats and why our addictive chips come from organic corn tortillas we slice right here—not from a bag. I would never claim Picante is authentically Mexican—food can only be considered truly authentic if it’s made in Mexico. And while the dishes at Picante may not be coming from some grandmother’s kitchen in Mexico, the reactions I get tell me it’s pretty close. Let me know what you think by dropping me a line. Just click the button below. Thanks for reaching out. I will be in touch soon!